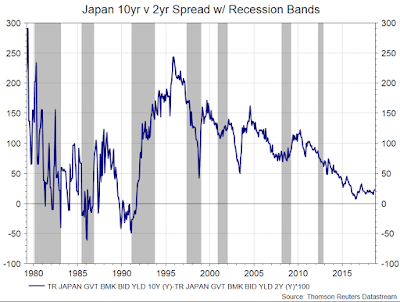 Inverted Yield Curve: Could This Time Be Different? In our recent article, “Respect The Predictive Power Of An Inverted Yield Curve”, a colleague noted that investors ignore this highly reliable indicator at their own peril. Today, I will argue for why investors should perhaps ignore this highly reliable indicator because “it may be different this time”. To be clear, it may not be different this time, but it is always worth considering both sides of an argument. 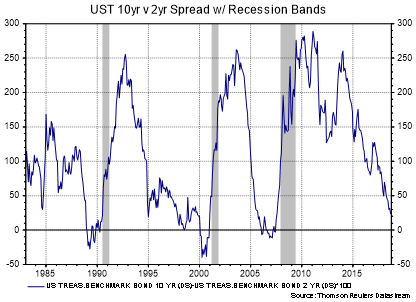 As we say in our previous article, “the batting average is not just 25% or 50% of the time, it is 100% of the time that an economic slowdown or recession has occurred after the yield curve inverts.” While this is true, it is only true for the U.S. One of the first tests of the reliability of an indicator or strategy is to test it in a different market. 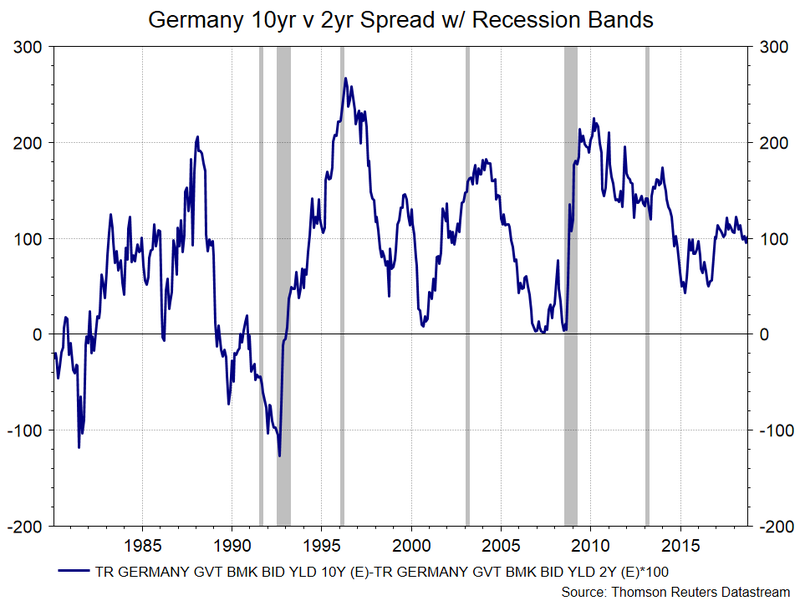 As demonstrated below, the yield curve has been a phenomenal indicator for the U.S., but slightly less so for other countries. 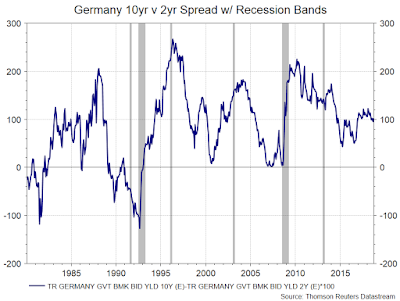 Now that we can confirm that the yield curve is not a flawless indicator, it becomes important to look at the causes and effects of yield curve inversions. 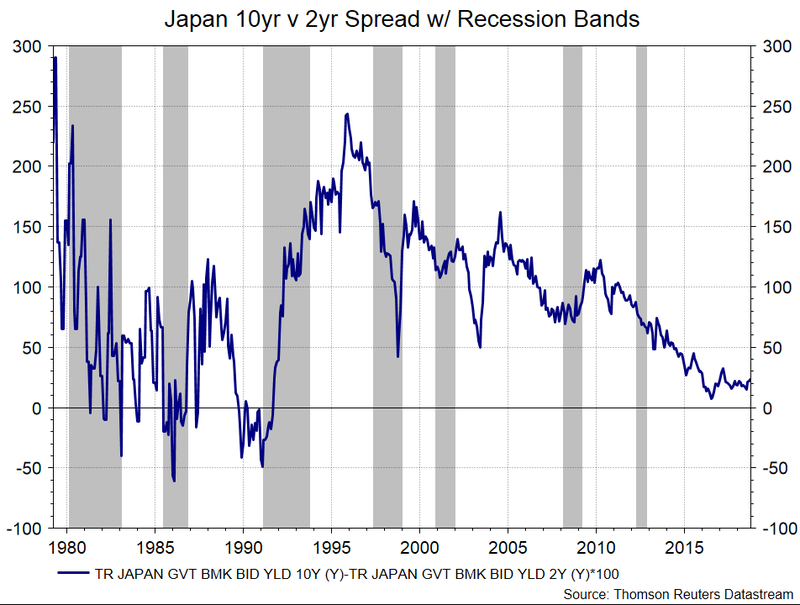 The cause of a yield curve inversion is generally a pessimistic long term outlook by investors. 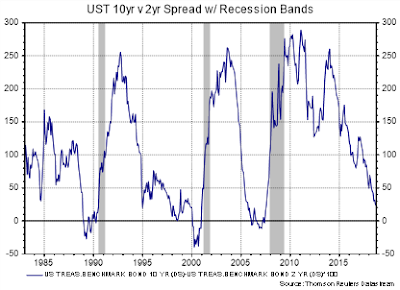 This pessimistic outlook increases demand for long term security which increases demand for long term treasuries which lowers long term yields thus causing an inversion. But, this time, it appears that the first chain in the above link may be broken. 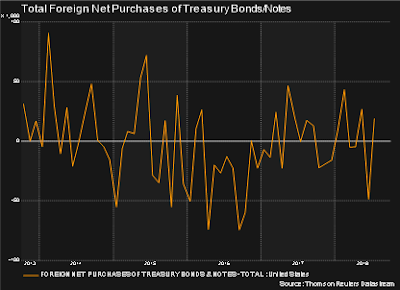 Investors are not necessarily buying long term treasuries because of a pessimistic outlook, but rather because they are the best option in an otherwise low yielding world. As shown below, yield opportunities in other sovereign issuers are difficult to find. 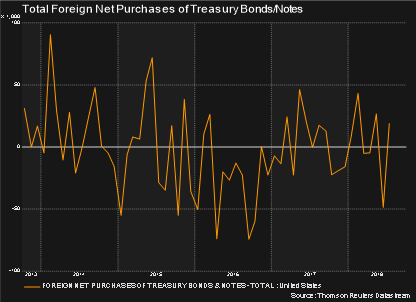 Though admittedly foreign purchases of Treasury bonds hardly explain downward pressure on long term yields as shown by the following chart. If it is not foreign buyers driving yield down, then perhaps investors are simply more willing to take on duration risk than credit risk given the tight credit spreads shown in the following chart. This is seemingly supported by fairly consistent outflows from High Yield in 2018 (article). While far from definitive, the cause of lower long term yields may simply be excess liquidity rather than a broad/growing pessimistic outlook. If the cause of the inversion is indeed different, then perhaps the effect of the inversion will be different as well. The economy struggles after an inverted yield curve for many reasons, but one of the most important is that banks can no longer lend profitably. If banks pay short term interest rates on deposits while lending to companies/individuals at long term rates, then they struggle to reach profitability in an inverted yield curve environment. In this particular case, however, bank deposit rates have not kept up with the increases in short term treasury rates as shown by the following chart of 1 Year Treasury Rates minus National 12 Month CD Rates on Jumbo Deposits. 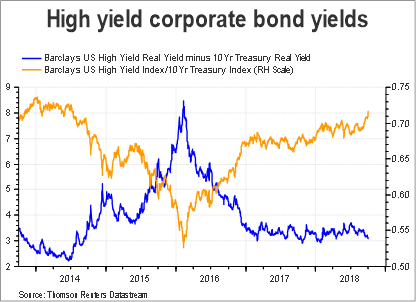 If banks can keep their deposit interest rates artificially low, then they have more room for profitability than the typical 10yr – 2yr Treasury spread would indicate. As long as banks can continue to lend profitably, then loan supply should be available, and if the cause of the inversion is excess liquidity rather than rampant pessimism, then loan demand should be available as well. While I cannot recommend that anyone completely ignore such a useful indicator, the inverted yield curve may not be the panacea that it is often made out to be.